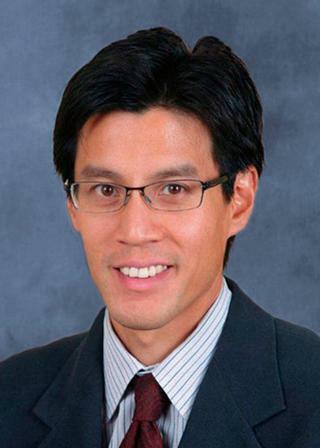 Edward P. Lin, M.D., M.B.A.
Dr. Lin is a neuroradiologist with a sub-specialty interest in head and neck imaging. He received his Medical Degree at the University of Rochester School of Medicine and completed his residency in diagnostic radiology at the University of Rochester Medical Center, followed by a fellowship in neuroradiology at the NYU Hospitals Center. Board certified by the American College of Radiology in Diagnostic Radiology as well as Neuroradiology, Dr. Lin is now an assistant professor at the University of Rochester, with active memberships in the Radiological Society of North America, American Society of Neuroradiology and American Society of Head and Neck Radiology. He recently completed an M.B.A. at the Simon School of Business. Lin EP; Bhatt S; Dogra VS. "Diagnostic clues to Ectopic Pregnancy." Radiographics. 2008; 28: 1661-1671. Marshall J, Lin EP, Bhatt S, Dogra VS. "Inflammatory pseudotumor of the kidney." J Ultrasound Med. 2008; 27: 803-807. Lin EP; Bhatt S; Dogra VS. "Lower Extremity Venous Doppler." Ultrasound Clin. 2008; 3: 147-158.